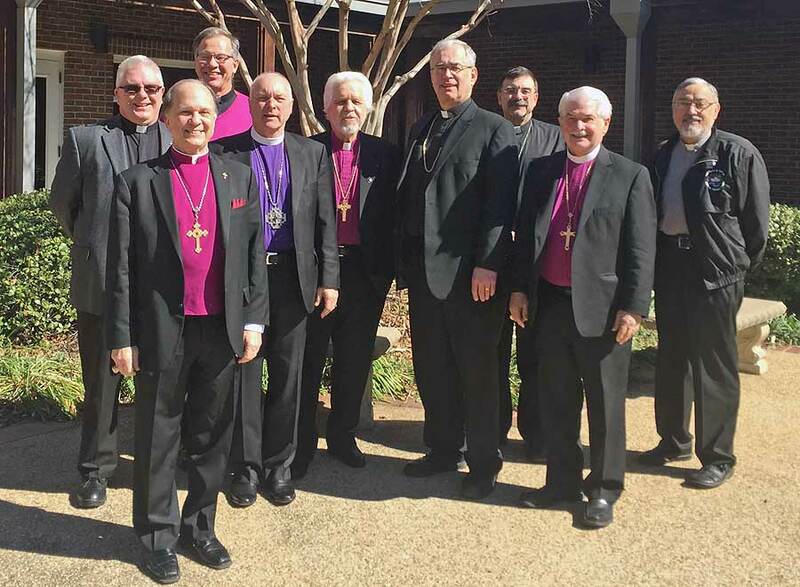 Representatives of the PNCC and the ACNA met for the Tenth Ecumenical Dialogue at St. Vincent’s Cathedral in Bedford, Texas, on Feb. 15 and 16, 2017. Bishop Paul Sobiechowski, Bishop John Mack, Father Senior Robert Nemkovich, Father Senior Augustus Sicard, SMOP and Father John Kowalczyk, were in attendance representing the PNCC. Bishop Ray Sutton, Bishop Richard Lipka, Bishop Keith Ackerman, Bishop Jack Iker, and Father Thomas Vece (FSJ) were in attendance representing the ACNA. Papers were presented concerning Apostolic Succession, the Synods of the Church, and the Unity of the Church. The Eleventh Ecumenical Dialogue Meeting is scheduled for Sept. 18 - 20 in Scranton, Penn.